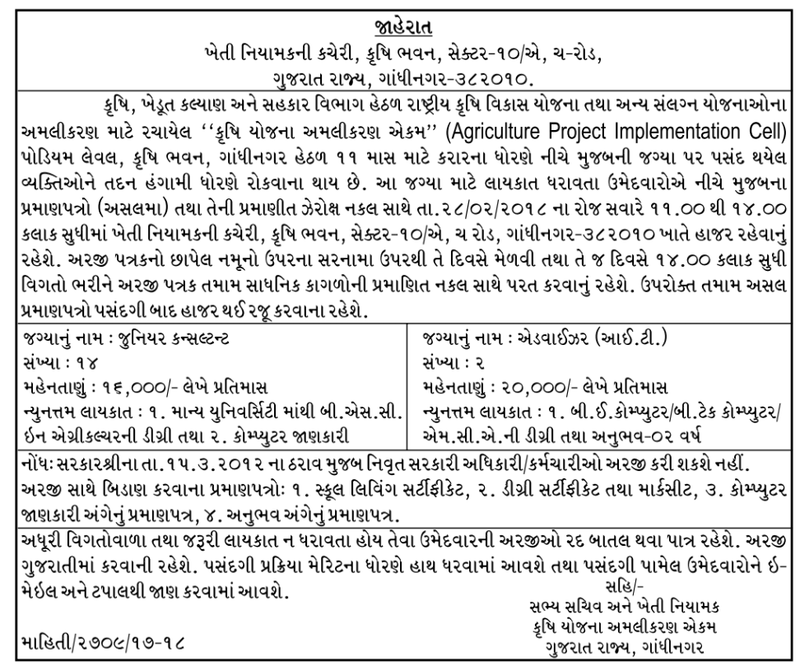 Agriculture Project Implementation Cell Gandhinagar Recruitment for Various Posts 2018 : Agriculture Project Implementation Cell Gandhinagar published an advertisement for recruitment for Various Posts. Check more details in below given official notification. Eligible candidates may attend the interview along with bio data, original certificates on 28-02-2018.